cits_4_pets | all galleries >> Cits 4 Pets Pet Sitter (11 Galleries & Webpage) >> Sniffers, Lickers & Funny Faces > Got Tongue? RIP Sweet boy...so sad to see you have crossed the bridge. Great capture, Flo, and wow, what a tongue! Goodness me, must have been to the vet a few times saying Aaaaahhh. A very hilarious and healthy looking image Flo. I thought one of my Aussies had a really long tongue, but this one wins the prize! Wow!! What a tongue...and love the expression! A Happy Dog! wow, quelle belle langue, il ne doit avoir de beaucoup d'avance quand il mange. 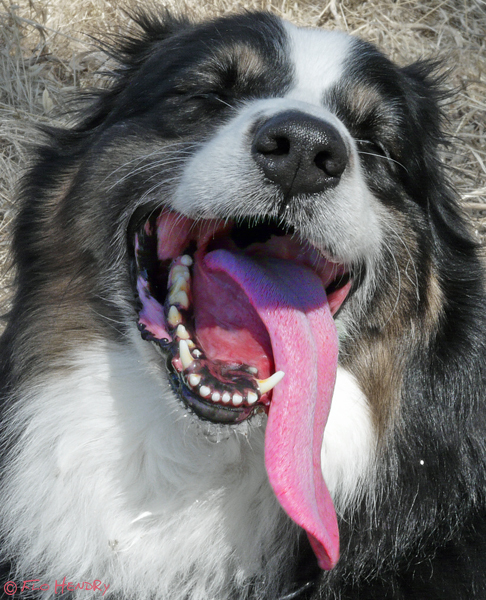 LOL... Must be a feature of the breed, my aussie's tongue is just as long! Didn't know they made them that long! Gave me a chuckle, great shot. Being a big dog lover, this got my attention immediately! What a sweet face and great capture. Jeepers, that is one long tongue, if he licked you on the face you'd be drenching wet, lol, so funny! He should audition to join 'Kiss'! Oh my gosh! That is one long tongue! Gene Simmons, eat your heart out! This is fantastic! Huge vote! Distant relative of Ozzie Osbourne's? Fabulous shot, I love it!! It got one!! Great shot!! V!